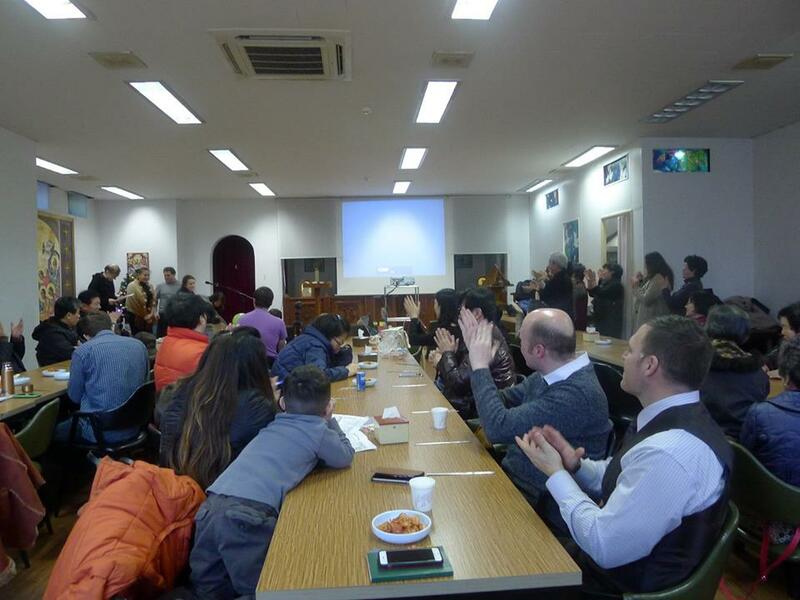 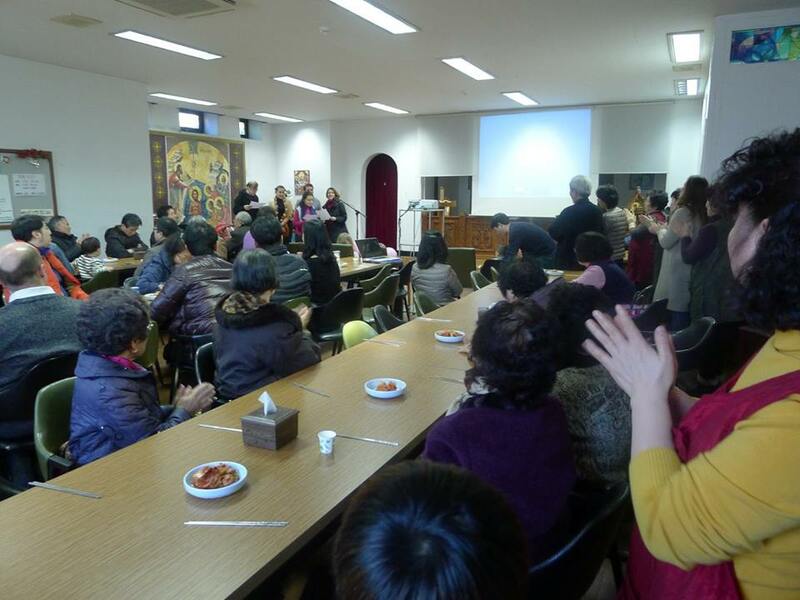 2016 Nativity of our Lord Celebrated with special Kid's Drama, "3 little pigs and a wolf"
2016년도 구력 성탄절이 어린아이들의 드라마 "3 마리의 돼지와 여우"로 즐겁게 축하행사를 보냈습니다. 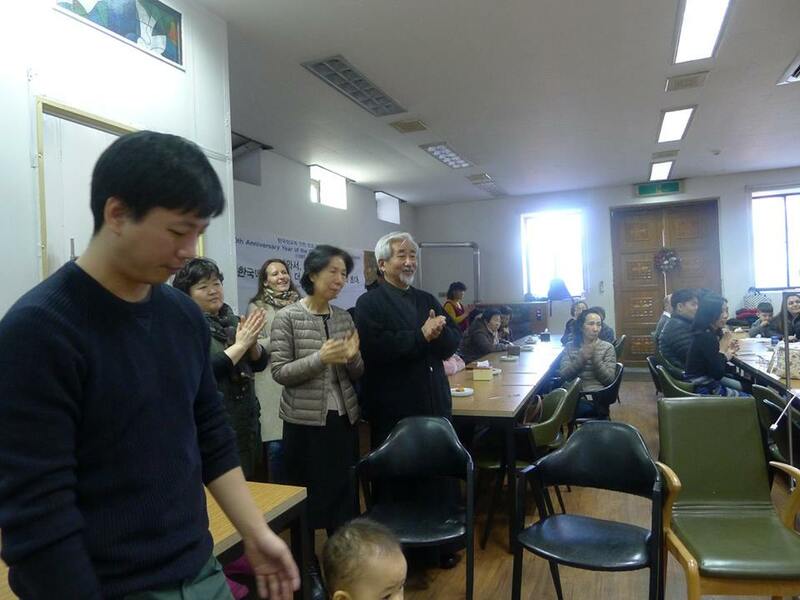 성탄절 축하행사의 프로그램으로 어린아이들의 드라마 "3 마리의 돼지와 여우"가 율리아나, 코스타 그리고 타띠안나의 연출로 재미있게 공연되었습니다. 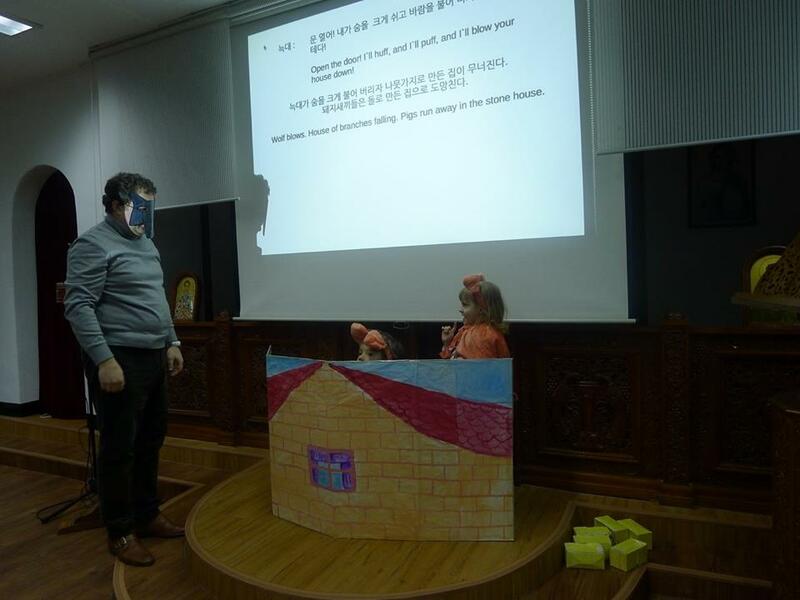 마샤, 아브구스트, 비카 어린이들이 드라마를 재미있게 꾸며 나�s습니다. 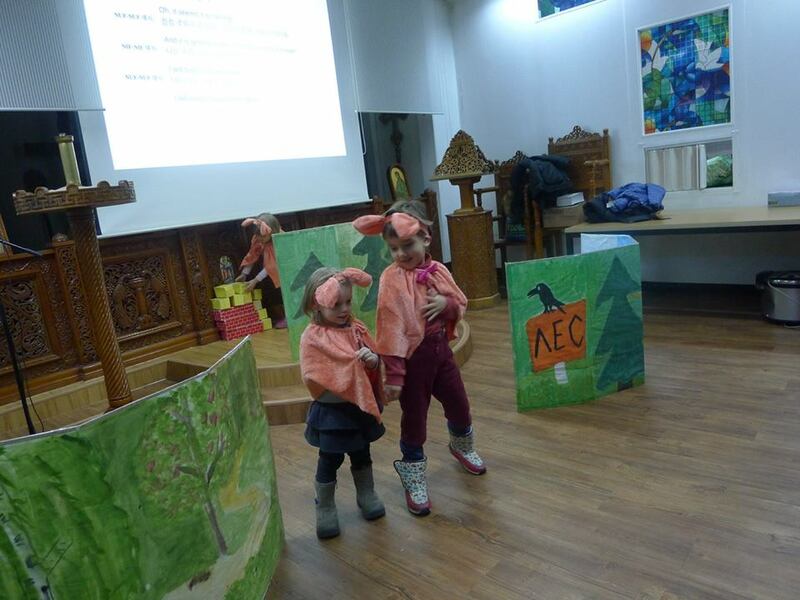 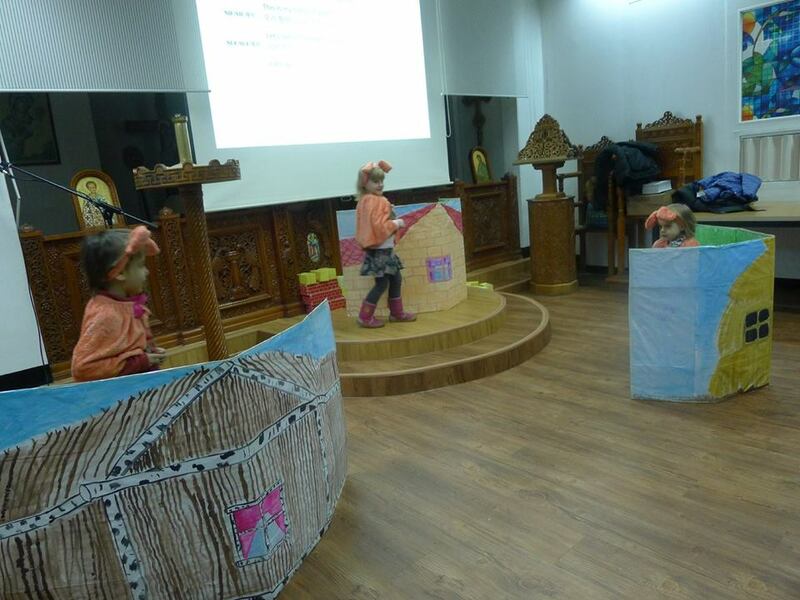 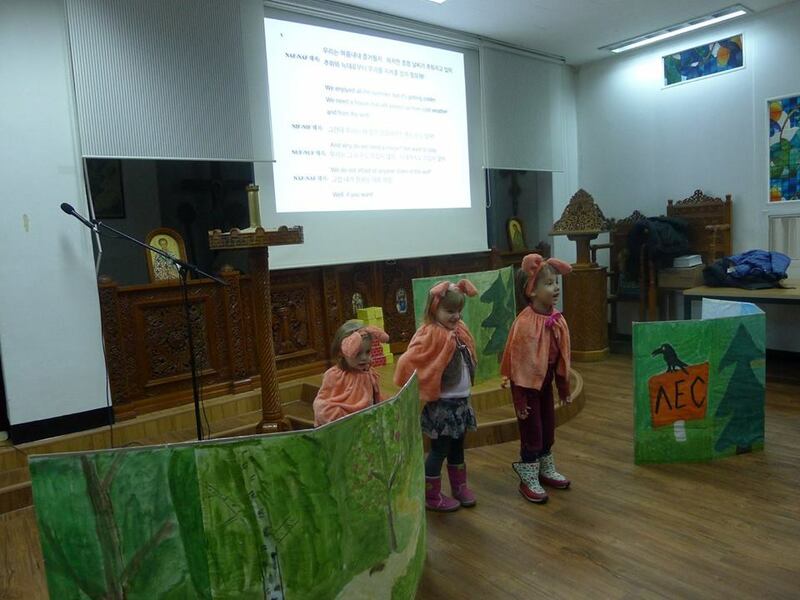 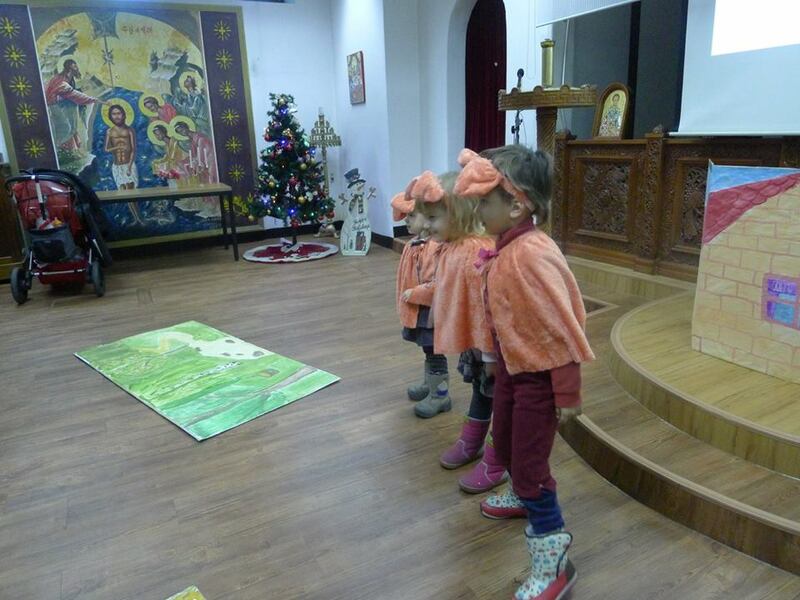 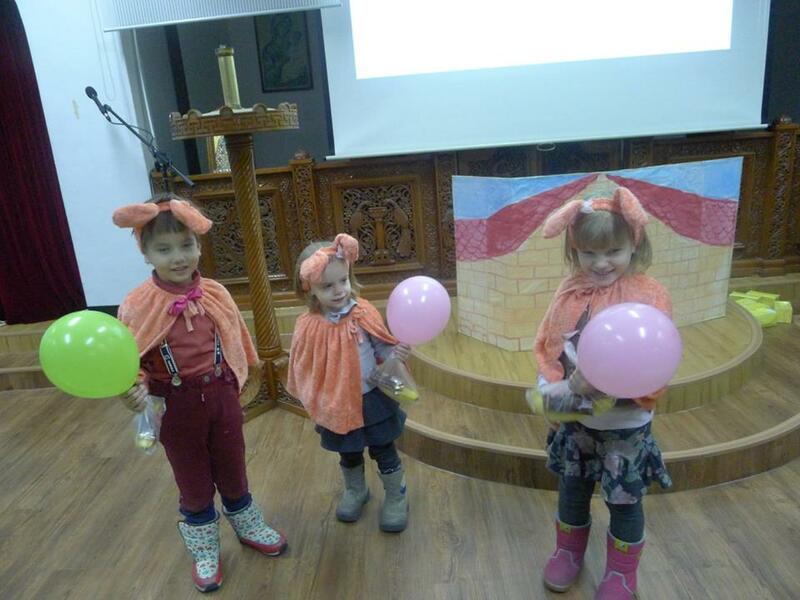 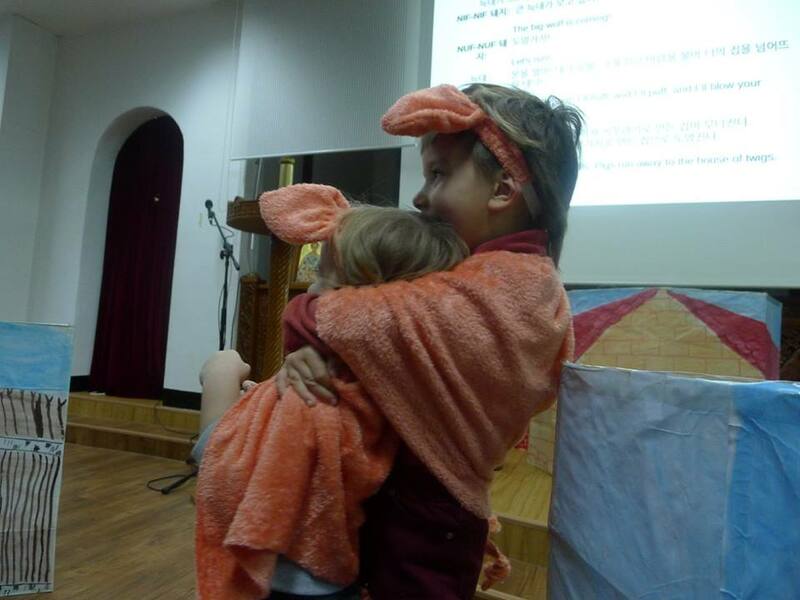 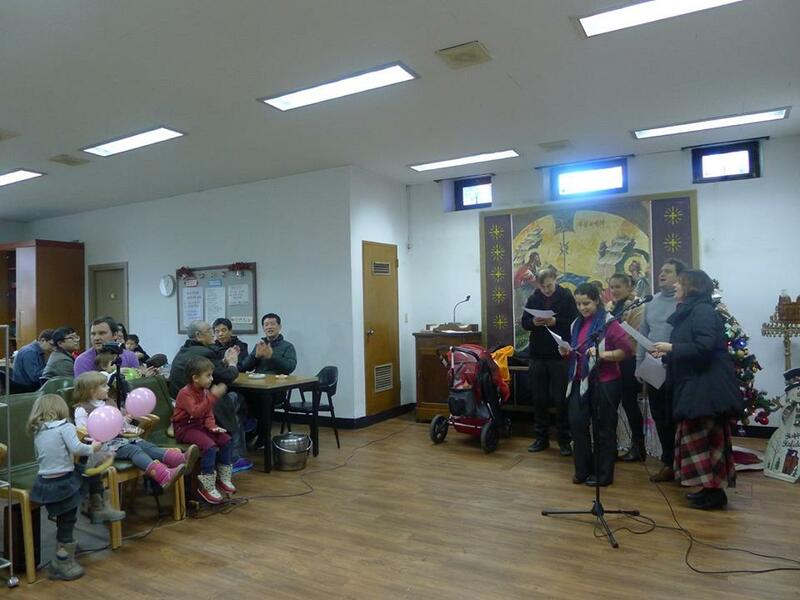 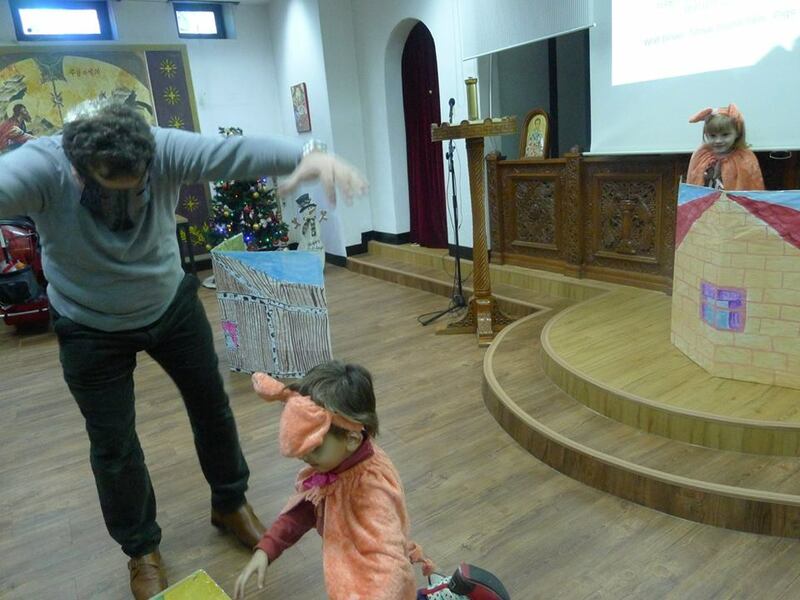 As one of Nativity of our Lord's Celebrations, 3 children, Vica (4yrs), Masha(6yrs) and Augustus(5yrs), played 3 pigs, and Costas as a wolf which directed by Ulianna and Tatianna. 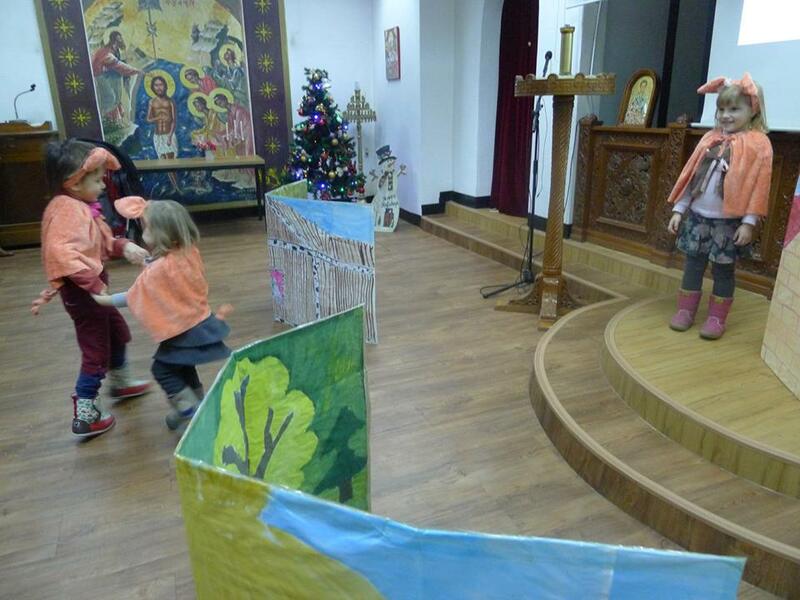 We congratulate you all who prepared the drama sucessfuly.